Balmain Town Hall 370 Darling St, Balmain, NSW, Australia. 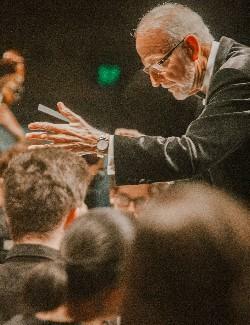 SYO Philharmonic, under the direction of leading music educator and conductor Brian Buggy OAM, performs the most personal of all his large scale works, Tchaikovsky's 4th Symphony. Following his catastrophic marriage to former student Antonina Miliukova, lasting a mere two months, Tchaikovsky made a start on his fourth symphony. After emerging from a profound period of writer's block and battling with a heavy bout of depression, it's perhaps unsurprising that the music is urgent, supercharged and violent at points. Even the opening bars of the first movement are intended to represent a metaphor for Fate, or, as poor old Tchaikovsky put it: "the fatal power which prevents one from attaining the goal of happiness". Hear SYO Philharmonic tackle the extroverted and wild 4th Symphony under the expert guidance of conductor Brian Buggy OAM for an evening you do not want to miss.